I received this beautiful book in the mail after I had marveled some of the art included in the book. 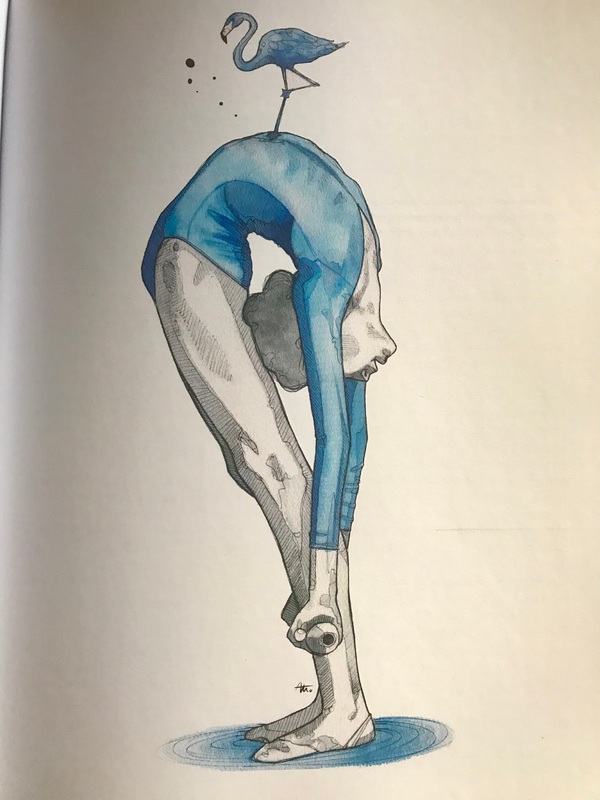 It contains very creative illustrations showing each of the 50 featured gymnasts in a moment of unique grace. The book spans from the 80s, starting with the legendary Bulgarian Lilia Ignatova, and finishes with the most promising contemporary star, the extraordinary Sasha Soldatova. Each gymnast is honored with least one drawing dediated to her and a page or two of narrative in Spanish about the gymnast's strongest qualities and achievements. Here are some of my favorite depictions. 1. 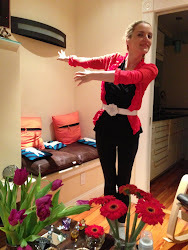 Yanina Batyrchina from Russia, the silver medalist from the 1996 Atlanta Olympics, shown in her bright red ribbon. 3. Elena Shamatulskaya from Ukraine who performed very interesting choreographies and was noted for her graceful feet. 4. 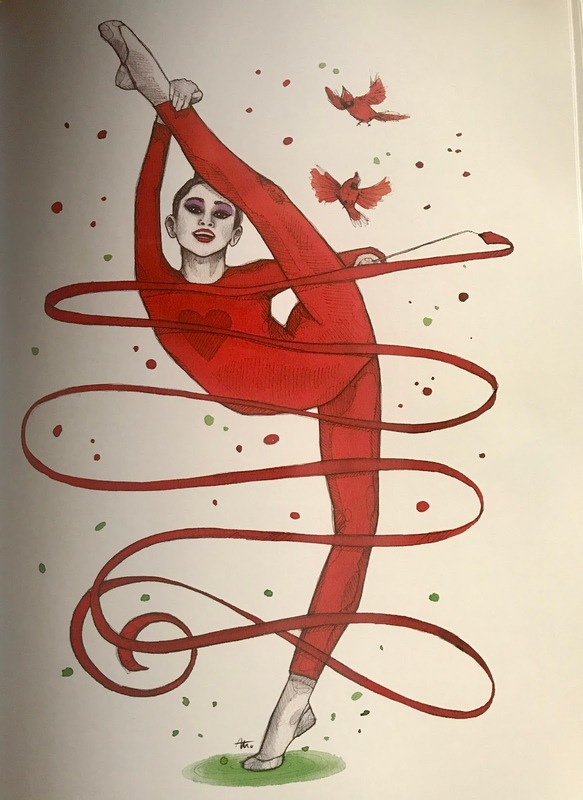 The three-time world champion Maria Petrova from Bulgaria shown in a memorable opening pose from her 1992 clubs routine which scored a 10.000 at the European championship. The caption features a quote from coach Neshka Robeva: "There is no better applause than the silence of the audience." Also included are less popular gymnast like the French Eva Serrano, the Romanian Irina Deleanu and the Georgian Salome Pazhava. 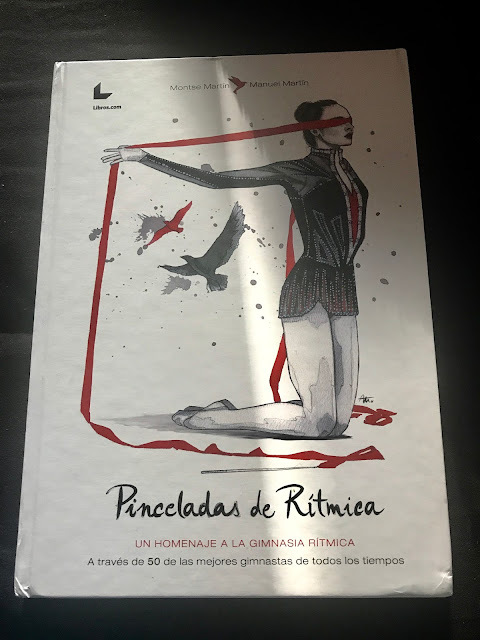 I would have loved to have seen Daria Kondakova and Simona Peycheva, both gold medal winners at world championship, included in this book as well as the Belarus star Inna Zhukova. 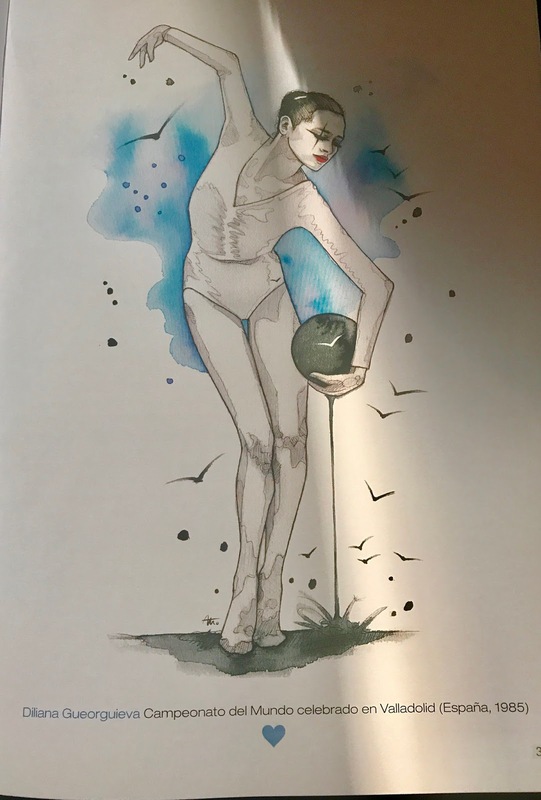 But I think the book is wonderfully passionate and well-crafted, a great way to remember the artists and athletes in rhythmic and a tribute to the poetic qualities of hour favorite sport. 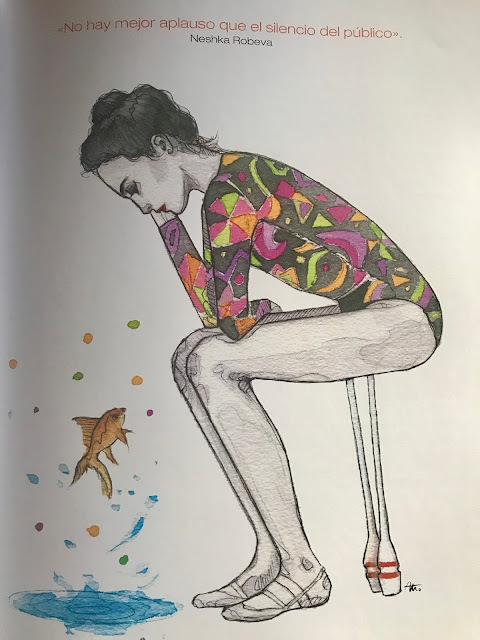 You can buy the book here: https://libros.com/comprar.